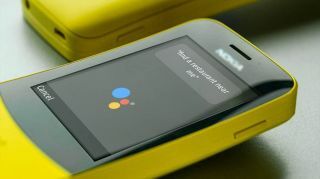 Google has revealed a major investment into feature phones as it looks to bring mobile connectivity to the world. The tech giant has invested $22m (£16.7m / AU $29.7m) into KaiOS, the Linux-based operating system that powers millions of devices around the world. The deal will see Google and Android services integrated into KaiOS, with the likes of search, Maps and even YouTube and the Google Assistant coming to more phones than ever before. “This funding will help us fast-track development and global deployment of KaiOS-enabled smart feature phones, allowing us to connect the vast population that still cannot access the internet, especially in emerging markets." The deal follows an earlier agreement this year which saw Google apps appear on low-end Nokia devices powered by KaiOS. First launched in 2017, and based on an open-source fan version of Firefox OS, Hong Kong-based KaiOS works with a number of major phone makers, including HMD, Alacatel and Doro. The company says it has shipped more than 40 million devices powered by its software so far, and recently overtook iOS to become the second-most popular devices after Android in the hugely important Indian market.